Western Conference of Teamsters Pension Trust Union Chairman Chuck Mack will be at the Teamsters Building located at 14675 Interurban Ave. S. in Tukwila, WA 98168 to explain the immediate ramifications of the “Select Committee on Pension Reform” and the impact to all multi-employer defined benefit Pension Plans, including the Western Conference Pension Plan. As the birthplace of the Western Conference Teamsters Pension Trust, Seattle will be the first stop in a series of meetings throughout the West that each Joint Council will be conducting. This is an extremely important meeting. We would like to include our local Trade Unions and Union Leaders. If you would like to attend the meeting, you are more than welcome. 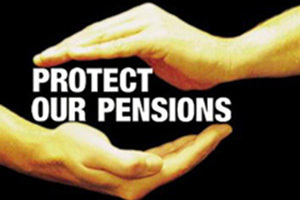 The results, unless we mobilize quickly and decisively, will be devastating to our Pension Plan. For more information on the Select Committee on Pension Reform, see this news release from Sen. Sharrod Brown (D-Ohio).